103 MAIN STREET, HYDE ​ PARK! Please view our "Donate a Dinner" calendar by clicking HERE. Please view our CORE Volunteer calendar by clicking HERE. Primary funding: a grant from the Office For Economic Opportunity/ $71,000 for operations. This covers approximately 30% of operations. Howard Manosh offered his old Plaza Hotel in Morrisville to people without a warm place to spend the night. The hotel, in Manosh’s Northgate Plaza, shut down operations several years ago, but Manosh has maintained it and rented it for other purposes — the Lamoille County courthouse and Hyde Park Elementary School temporarily relocated there in recent years. Hyde Park zoning officials have approved a homeless shelter in the village, after coming under scrutiny for how long it was taking to reach a decision and facing questions over the transparency of the process. The board issued its written decision Wednesday evening, after more than a month in deliberative session. All three board members voted in favor. 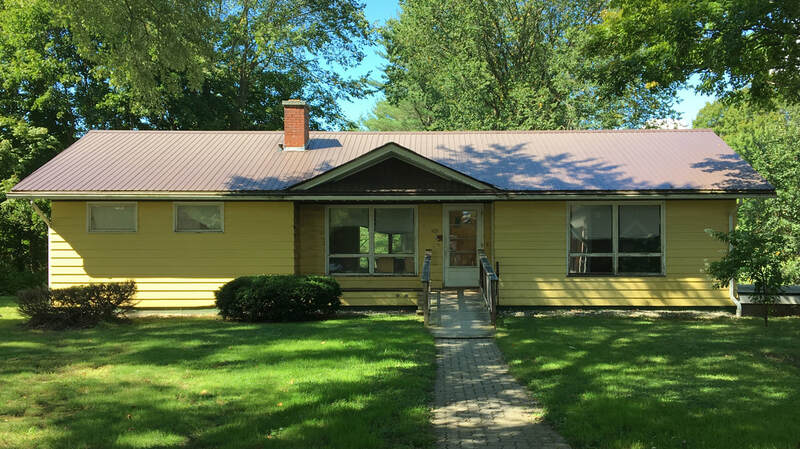 There is still a 30-day window to appeal the project to the state environmental court, so the yellow house located at 103 Main Street won’t be able to be used until Jan. 18 at the earliest. The sheriff’s department owns the building, and Marcoux opened it up midway through last winter in order to take the load off the trio of Lamoille County churches that had opened pop-up shelters in Stowe, Hyde Park and Johnson, and to provide a more stable, centralized place. He applied for a zoning permit to operate the place, with an organization called Lamoille Community House taking over operations. He applied for the permit in late September, and the review board didn’t meet to go over the application until Nov. 15. The board had been in deliberative session between then and Wednesday night, when it gave its official approval. 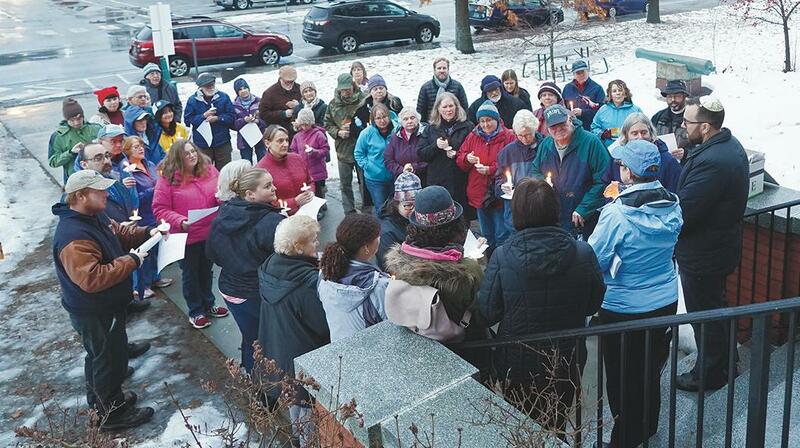 On Friday, the shortest day of the year, more than 40 people gathered for a candlelight vigil in front of the courthouse on Hyde Park village’s Main Street. The rain that had been steadily falling for more than 24 hours had stopped shortly before, and the gathered listened to faith leaders and sang “Imagine” by John Lennon. Sherry Marcelino, a homeless advocate who works with Lamoille County Mental Health Services, said there has been an increase of awareness about local homelessness over the past year. And, in the past two weeks, the Hyde Park zoning office came under increased scrutiny over how long it was taking to take action on the homeless shelter, which Marcelino thinks may have played a role in getting the decision. She said, contrary to concerns by some residents about “quote, unquote, junkies on the streets,” most guests get up in the morning and go to work or go to their various support services agencies. She said they don’t want to draw attention to themselves any more than naysayers don’t want them to come to their town. Photo by Gordon Miller, News and Citizen/Stowe Reporter. See more of Gordon's photos in the Gallery.